This is a spectacular and informative children's guide about the rise and fall of the Aztecs, Incas, and Mayas. With incredible colour photography, Eyewitness Aztec explores the civilizations in Central and South America who built vast empires and left behind a legacy of mystery and wonder. Find out what kind of food the Aztecs ate, how the Incas built their homes, and how the Mayan calendar worked. Eyewitness Aztec also includes a giant fold-out wall chart full of facts, perfect for bedrooms or classrooms. 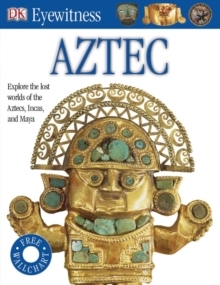 Great for projects or just for fun, your child will learn everything they need to know about the Aztecs... and so much more.